The Supreme Court Collegium has recommended that twenty three Additional Judges from the High Courts of Madhya Pradesh (18), Chhattisgarh (2), Jharkhand (2) and Karnataka (1) be made permanent. 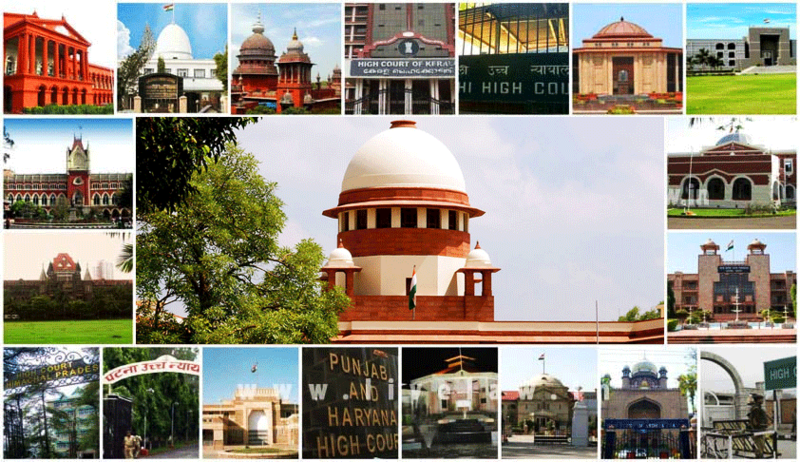 The Judges from Madhya Pradesh High Court, who have been recommended to be made permanent are Justices Atul Shreedharan, Sushrut Arvind Dharmadhikari, Vivek Rusia, Anand Pathak, Ved Prakash Sharma, Jagdish Prasad Gupta, Anurag Kumar Shrivastava, Housla Prasad Singh, Ashok Kumar Joshi, Vivek Agarwal, Nandita Dubey, Rajeev Kumar Dubey, Anjuli Palo, Virender Singh, S.K. Awasthi, Vijay Kumar Shukla, G.S. Ahluwalia, and Subodh Abhyankar. Justices Sanjay Agrawal and Rajendra Chandra Singh Samant have been recommended to be made permanent Judges of the Chhattisgarh High Court. Justice Anil Kumar Shukla had also been recommended by the High Court. He has, however, since attained superannuation. Justices Ananda Sen and Anant Bijay Singh have been recommended to become permanent Judges of the Jharkhand High Court. As regards Karnataka High Court, the Collegium recommended that Justice G. Narendar be made permanent, despite the fact that the High Court collegium had only recommended that the Judge's term be extended for another year. "While making this observation, we have duly taken note of the fact that the High Court Collegium while recommending extension of his term as Additional Judge has not placed on record any material for not recommending him for appointment as Permanent Judge though a permanent post is available," it opined.